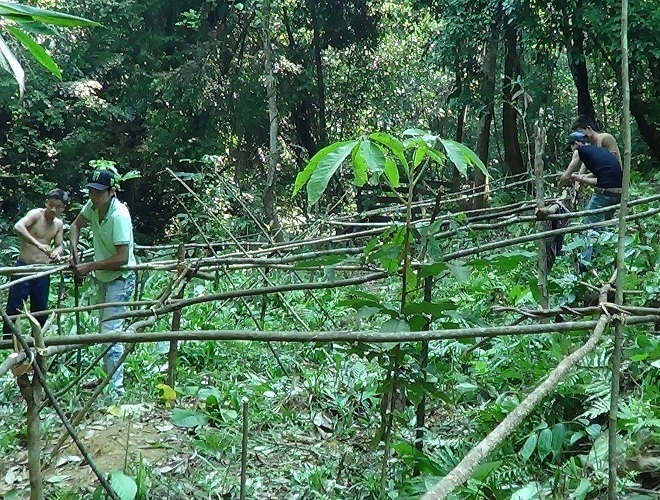 In the first days of March 2015, 06 forest-allocated communities in 03 communes of Thuong Nhat, Thuong Lo, and Huong Loc within the framework of the project “Enhancing community rights in managing and benefiting after land and forest allocation in Thua Thien Hue Province” funded by ICCO and implemented by Centre for Rural Development in Central Vietnam (CRD) celebrated forest worship ceremonies. This is an annual activity with important cultural significance to Cotu community in particular and forest dependent ones in general. According to the customs of Cotu people, the activity of forest worshipping are often held in the first month of a new year – as Lunar calendar, the significance of which is to ask permission from “ Forest Genie” for implementing activities of tending and harvesting forest products, and to pray for good weather, productive harvest, and a full and prosperous life for forest dependent communities. Unlike the forest worship ceremonies in previous years, there was a special thing in the ceremony of communities of La Ho and Doi Hamlets in this year. 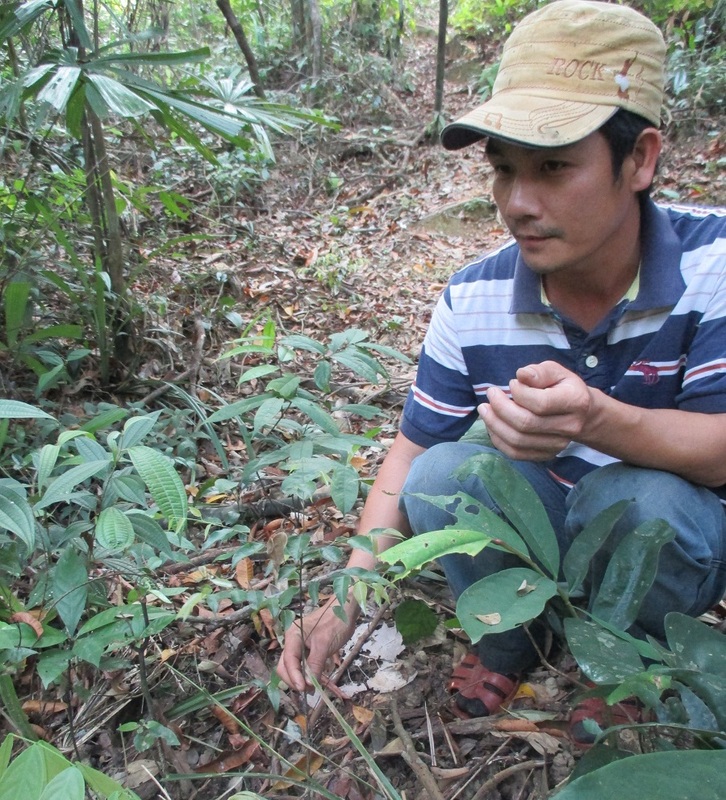 Now that the people have benefited from the forest that they have been planting and tending with the support from the project by Enhancing community rights in managing and benefiting after land and forest allocation in Thua Thien Hue Province”. 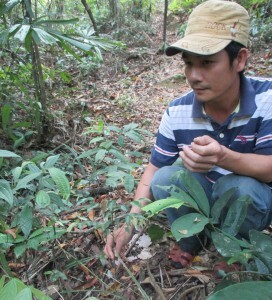 According to Mr. Tran Van Cung, Head of Community Forest Management Board of La Ho Hamlet, “If the communities continue to receive support from the Project, they will benefit more from the models, and with the support from the Forest Protection Department in forest patrolling, the communities would be enthusiastic in forest protection and development. 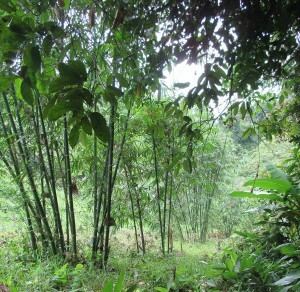 In the coming time, the community forest will be a great source of livelihood for the villagers”. Also during this time, the communities implemented forest patrolling and tendied the models built and developed from 2011-2014. 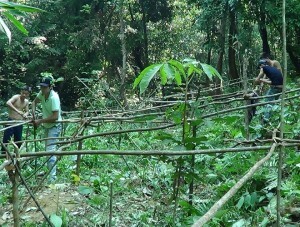 Specifically, communities conducted some activities such as preparing land for planting Rattan, Bassia and native species; preparing land for native tree nurseries; rebuilding climbing frames for Codonopsis garden… It was planned that in 2015, the communities of La Ho and Doi Hamlets are exploiting some areas of Rattan. Simultaneously, the communities in collaboration with the Project Management Board will continue to expand some areas planting Rattan in order to increase people’s income in the future. Besides supporting tree breeding to the communities, the project also provide technical support in tending and harvesting process. 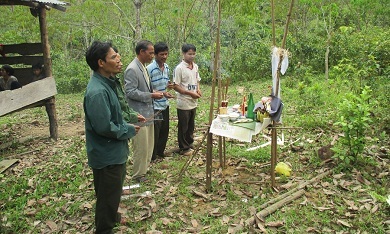 The activity of celebrating forest worship ceremonies is a unique traditional ritual of local communities. In the coming time, the project will continue not only to support the communities to increase incomes for forest-allocated communities but also to contribute to preserving the local traditional cultural values.